I had an intermittent problem with the 4wd not engaging on my 2000 Ford F150. After resolving a loss of vacuum, the problem returned. The 4wd light switch proved to be the chief suspect. In fact this became quite obvious after removing the switch and examining the inconsistent operation. 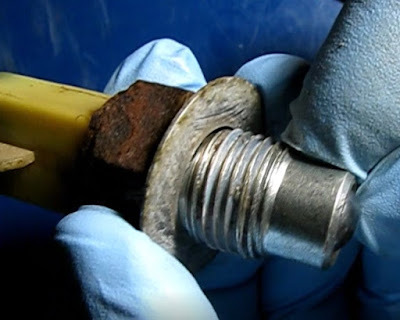 This video will detail troubleshooting, removal and installation. Since this is an intermittent problem, it is helpful to look at the vacuum and electrical signals when it is working and then during the malfunction. 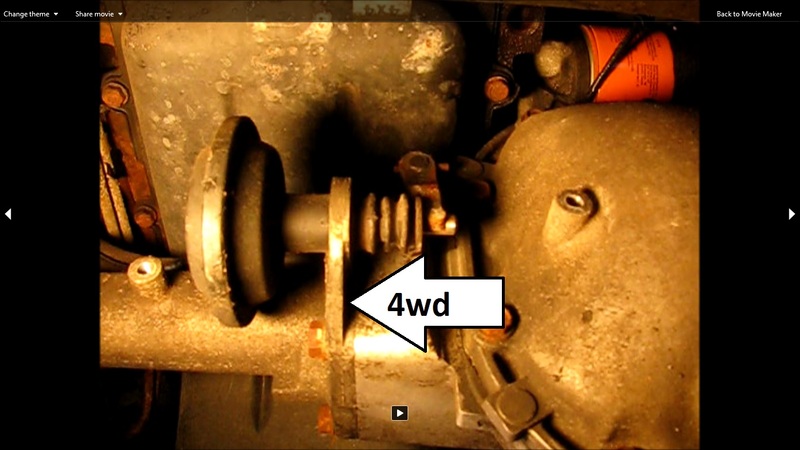 We will be looking at the 4WD solenoid, the actuator and the light switch. 1) Confirm that there is vacuum at the lower line entering the solenoids. This should always be present when the truck is running. 2) Confirm operation of the vacuum actuator. Start the truck and shift into 4wd. Check for actuator movement to the left (passenger side). 3) Confirm 12V at the socket for the left solenoid wire. Unplug the wiring connector from the 4wd solenoid and turn the ignition on. 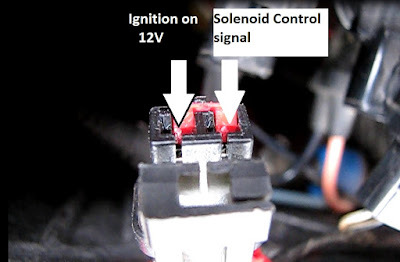 4) Confirm the solenoid control signal at the socket for the right solenoid wire. This is a sink signal so hook up the test light backwards, the ground lead on the battery positive. Start the truck and shift into 4wd. The truck is on stands and in park. The presence of these signals confirms that the 4wd light switch is working properly. When the light failed to come on it was time to find where this problem originates. 1) Check for vacuum. It was present at the input to the solenoid but not at the actuator. 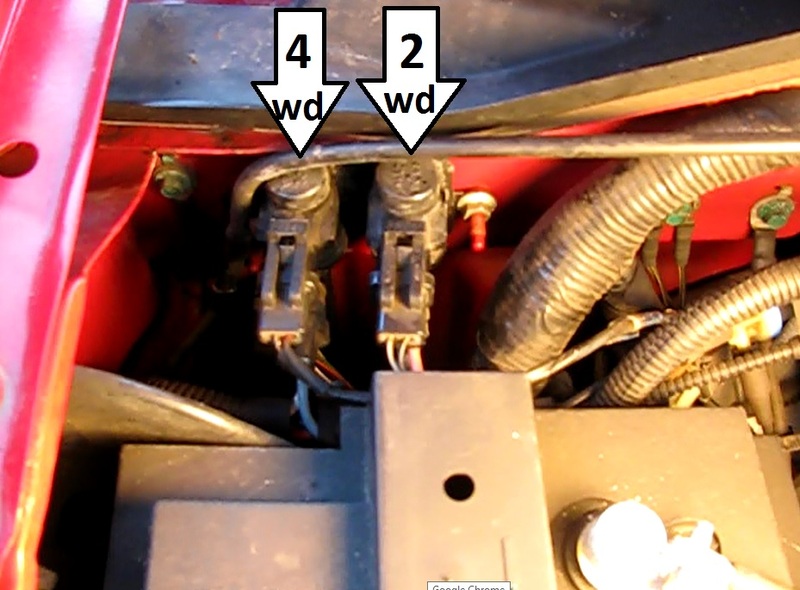 2) Check for ignition on 12V. It was present. 3) Check for the solenoid control signal. With the truck running in 4wd the solenoid-on signal was absent. It was time to look at the 4wd light switch. This switch signals the control unit that the truck has been placed in 4wd. 1) Locate the switch. 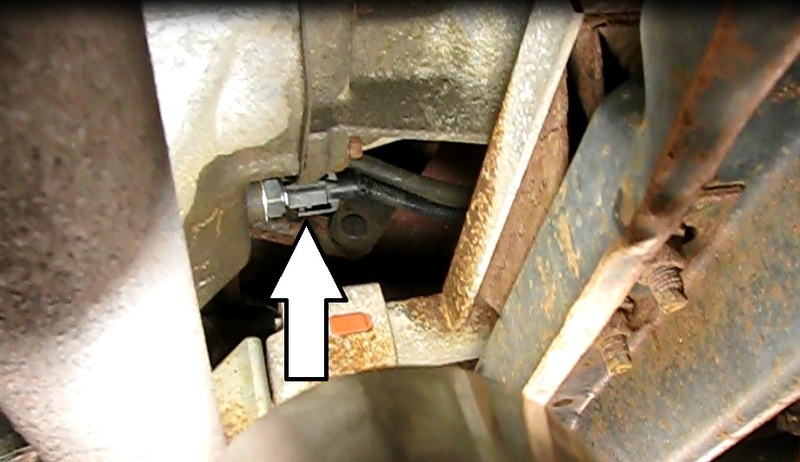 It is on the right side of the transfer case, basically right under the shifter. Slip under the truck at about the middle of the passenger front door. 2) Unplug the switch. There are two keepers that must be pried apart simultaneously. Be careful not to snap them off. 3) Turn the switch out with a 22mm open end wrench. 4) Test the switch. Testing soon revealed that this switch was the problem. Mechanically it would stick in most of the time and fail to have continuity. 1) Find a replacement switch. 2) Turn the switch in with a 22mm open end wrench.